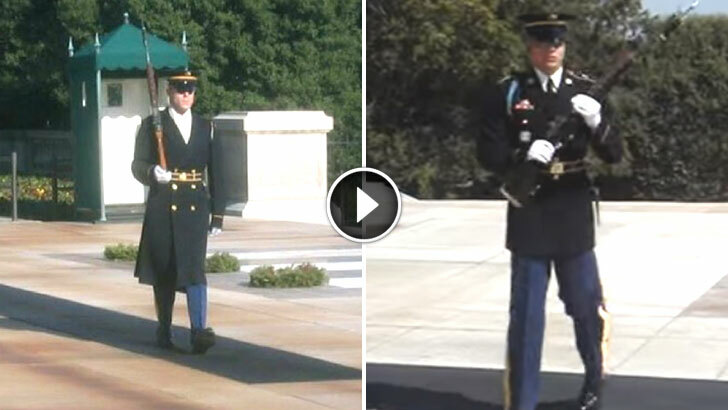 Disrespectful Crowd Laughs At Tomb Of Unknown Soldier. Then Guard Teaches Them A Lesson! Those of you who’ve been to the Arlington National Cemetery know what a patriotic experience it is honoring thousands of unidentified servicemen and servicewomen who lost their lives for their country. Most of you do know, but then there’s this kind of people. During the changing of the guard ceremony, loud laughter could be heard in the crowd. Now, I always thought the guards were there just to do their trained routine and pay no attention to tourists, but watch what this soldier did when he heard people disrespecting the Tomb. There was no more laughing after this.